The great social experiment that is marijuana legalization is now five years old, with six states already allowing legal marijuana sales, two more where legal sales will begin within months, and yet another that, along with the District of Columbia, has legalized personal possession and cultivation of the herb. As a number of state legislatures -- including Connecticut, Delaware, New Hampshire, New Jersey, New Mexico, and New York -- seriously contemplate joining the parade this year, it's more important than ever to be able to assess just what impact marijuana legalization has had on those states that have led the way. The prophets of doom warned of all manner of social ills that would arise if marijuana were legalized. From hordes of dope-addled youths aimlessly wandering the streets to red-eyed carnage on the highway, the divinations were dire. Well, of course. If there's one thing you could predict about legalizing marijuana, this is it. The decline in the number of pot arrests is dramatic: 98% in Washington, 96% in Oregon, 93% in Alaska, 81% in Colorado, 76% in DC. That means tens of thousands of people not being cuffed, hauled away, and branded with lifelong criminal records, with all the consequences those bring. The savings in human dignity, liberty and potential are inestimable, but the savings to state criminal justice and correctional systems are not: The report puts them at hundreds of millions of dollars. 2. …But the racial disparities in marijuana arrests have not ended. While marijuana legalization dramatically reduces the number of people arrested for marijuana offenses, it clearly does not end racially disparate policing. The vast disparities in marijuana arrests remain, even in legal states. Black and Latino people remain far more likely to be arrested for marijuana offenses than white people, despite similar rates of use and sales across racial groups. There is work to be done here. 3. A tide of teenage weed heads is not unleashed upon the nation. High school kids in the earliest legalization states smoke pot at rates similar to kids in states that haven't legalized it, and those rates have remained stable. In the later legalization states, rates of teen use vary widely, but have mostly stabilized or declined in the years leading up to legalization. 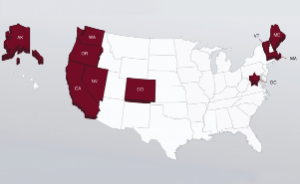 And in those latest states -- Maine, Massachusetts, Nevada, California -- regulatory programs are either not yet in place or so new they're unlikely to have effected youth use rates. 4. The highways remain safe. In the earliest legalization states, Colorado and Washington, the total number of arrests for driving under the influence of alcohol and other drugs is down, and the crash rates in both states are statistically similar to states that haven't legalized it. In fact, there seems to be no correlation between legalization and crash rates. 5. States with legal marijuana have lower rates of opioid-related harms. In Colorado, an upward trend in overdoses began to decline after 2014, the first year of retail pot sales in the state. Other positive indicia come from medical marijuana states, which report a nearly 25% drop in overdose death rates, a 23% reduction in opioid addiction-related hospitalizations and a 15% reduction in opioid treatment admissions. 6. Marijuana tax revenues are big -- and bigger than predicted. Legalization states have collected more than a billion dollars in pot tax revenues -- and that's not counting the monster market in California, where recreational sales just began this month. Likewise, slow rollouts of taxed and regulated marijuana commerce in Maine and Massachusetts, mean no tax dollars have yet been generated there. In the states that do have legal pot sales, overall sales and tax revenues quickly exceeded initial estimates. 7. Marijuana tax dollars are going for good things. Like $230 million to the Colorado Department of Education in two years to fund school construction, early literacy, school health, and bullying prevention programs. Likewise, schools in Oregon get 40% of the pot taxes and schools in Nevada will get $56 million in wholesale pot tax revenues. Oregon also allocates 20% of pot taxes for alcohol and drug treatment, while Washington kicks in 25%. In Washington state, 55% of pot tax revenues fund basic health plans. 8. Legal marijuana is a job creation engine. The legal marijuana industry has already created an estimated 200,000 full- and part-time jobs, and that's before California, Maine, and Massachusetts come online. As marijuana moves from the black market to legal markets, weed looks like a growth industry and job generator for years to come. "Marijuana criminalization has been a massive waste of money and has unequally harmed black and Latino communities," said Jolene Forrman, staff attorney at the Drug Policy Alliance and author of the report. "This report shows that marijuana legalization is working. States are effectively protecting public health and safety through comprehensive regulations. Now more states should build on the successes of marijuana legalization and advance policies to repair the racially disparate harms of the war on drugs." In addition to reforming police practices to reduce racial disparities, the report also says there is more work to be done on fostering equity within the marijuana industry and points to models for doing so, such as the California provision that having a prior drug conviction can't be the sole basis for denying a marijuana license. Having places where people can actually smoke legal marijuana also remains an issue, the report noted. Public consumption is not allowed in any of the legal states. It's a ticketable offense in some and a misdemeanor in others. Public use violations are also disproportionately enforced against people of color, and the imposition of fines could lead to jail time for poor people unable to pay for the crime of using a legal substance. And what about the kids? The report notes that while legalization has generally resulted in reducing historically high numbers of young people being stopped and arrested for pot offenses, these reductions are inconsistent, and in some circumstances, young people now comprise a growing percentage of marijuana arrests. A model could be California, where kids under 18 can only be charged with civil infractions. Legalizing marijuana may be necessary for achieving social justice goals, but it's not sufficient for achieving them. As this report makes clear, how we legalize marijuana matters, and that's still a work in progress. But so far, it's looking pretty good. Popular sentiment favors marijuana legalization in Michigan, Denver activists plan an initiative to approve cannabis social clubs, Florida's CBD cannabis oil law gets expanded, and more. Shona Banda is suing the state of Kansas, local police, and a local school district over her son's removal from her home. Michigan Poll Has Majority Support for Legalization. A new SurveyUSA poll commissioned by Michigan marijuana activists finds support for legalization at 54%. The poll comes as activists there struggle to get legalization initiatives on the ballot. Denver Activists Renew Push for Cannabis Clubs. Activists with Responsible Use Denver submitted ballot language last Friday for an initiative to allow for private marijuana social clubs and to allow for public pot use at special events with a permit. The move comes a year after backers of a similar measure dropped it in favor of working with city officials to craft a policy. The initiative will need 5,000 valid voter signatures to qualify for the ballot; the group says it is aiming at 10,000 raw signatures. Florida Governor Signs CBD Expansion Bills Into Law. Gov. Rick Scott (R) has signed into law House Bill 307 and House Bill 1313, which expands the state's CBC cannabis oil law and fixing some problems related to that law which resulted in patients not getting their medicine because of challenges setting up the industry. 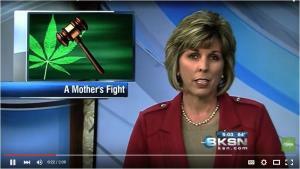 Kansas Medical Marijuana Mom Sues Over Son's Removal. Activist Shona Bana last Thursday filed a federal civil rights lawsuit last Thursday over the state's questioning and removal of her 11-year-old son after he spoke up in school about her using and possessing marijuana. She is claiming the state deprived her of her civil rights by not allowing her to use medical marijuana to treat her Crohn's Disease and that local police and school officials improperly questioned her son. MPP-Backed Ohio Initiative Cleared for Circulation. The initiative from Ohioans for Medical Marijuana, which is backed by the Marijuana Policy Project, has been cleared for circulation. Attorney General Mike DeWine last Friday approved the summary language. At least two other proposed medical marijuana initiative have been rejected by DeWine, as was an earlier version of this one. Pennsylvania Coroner Now Classifying Heroin Overdoses as "Homicides." Lycoming County Coroner Charles Kiessling has started listing accidental fatal heroin overdoses as homicides. "If you are selling heroin to someone and they die, isn't that homicide?" he asked. "If you are dealing drugs, you are a murderer." Most coroners in the state list heroin overdose deaths as "accidental," not "homicide." West Virginia Imposes Drug Testing on High School Students in Tech Ed Courses. All high school students in third and fourth year career technical education courses will be required to submit to drug tests beginning next school year. It's part of the Department of Education's Simulated Workplace program. It's unclear whether the drug testing complies with Supreme Court rulings that limit mandatory, suspicionless drug testing to select groups of students, but would appear to be ripe for a legal challenge. The article was written in collaboration with AlterNet and first appeared here. The University of Michigan's annual Monitoring the Future (MTF) survey of teen drug use was released today and shows that softening attitudes toward marijuana and actual marijuana legalization in four states and Washington, DC, have not translated into increased teen pot smoking. The survey also had generally good news about other drugs, reported declines in teen use of ecstasy, heroin, alcohol, cigarettes, and synthetic cannabinoids. MTF has been tracking drug use, including alcohol and tobacco, since 1975, and surveys more than 40,000 8th, 10th, and 12th graders in some 400 public and private secondary schools across the country. The research is sponsored by the National Institutes on Drug Abuse. "Marijuana, the most widely used of the illicit drugs, did not show any significant change in annual prevalence this year in any of the three grades, nor in the three grades combined," MTF reported in its press release. "After rising for several years, the annual prevalence of marijuana has more or less leveled out since about 2010." That's significant since legalization wasn't approved in Colorado and Washington until November 2012 and in Alaska, Oregon, and Washington, DC, in November 2014. And in each case, it took some time to actually go into effect. If legalization in the states has had any effect on teen pot use rates, the MTF figures make clear it hasn't shown up yet. Teen pot use stabilized before legalization and hasn't increased since. While use rates have been stable for the last five years, with 12% of 8th graders, 25% of 10th graders, and 35% of seniors reporting using at least once in the past year, they are well above the historic lows that MTF reported in the early 1990s (although near the levels of the survey's earliest years in the 1970s, which, interestingly, are omitted from the tables accompanying this year's report). The report also found that a tiny fraction of teens are using marijuana regularly. These rates stand at 1.1%, 3.0% and 6.0% in 8th, 10th and 12th grades, respectively. These rates are also higher than the historic lows from the early 1990s. The stabilization of teen marijuana use comes even as MTF reports that the percentage of students who see its use as carrying a great risk has declined dramatically. Fewer than a third (32%) of seniors saw a great risk, down from 58% in 2005, and similar decreases obtained for 8th and 10th graders. And it comes even as teen support for legalization grows. A June 2014 MTF report noted that, "The proportion of 12th-grade students who favor legalization of marijuana was at the highest level ever recorded" and, "The proportion of 12th-grade students who favor marijuana use as a crime is at the lowest level ever recorded by the survey." Students for Sensible Drug Policy was quick to make the obvious point. "Youth marijuana use is stable, and even falling in some categories, all while a growing number of states enact legalization," said Betty Aldworth, the group's executive director. "This new data solidifies early indications that the scare tactics peddled by prohibitionists are false. Criminalization isn't the way to encourage young people to make healthy choices; regulating a legal market and honest, reality-based education is." 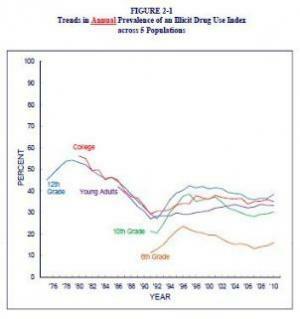 "That fact is made even more clear by the continued reduction in youth tobacco and alcohol use. We didn't need to put anyone in handcuffs or jail cells to convince an historic number of students to avoid smoking and drinking. These reductions were achieved with honest, evidence-based public health strategies and not by criminalizing cigarettes or beer. Drug use is a health matter and should be treated that way," Aldworth concluded. 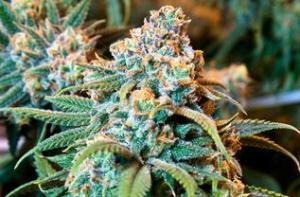 Colorado Lawsuit Claims Marijuana Taxes Violate Fifth Amendment. Denver attorney Robert Corry Jr. has filed a lawsuit on behalf of an unnamed marijuana retailer arguing that paying pot taxes violates a citizen's Fifth Amendment right against self-incrimination since marijuana remains illegal under federal law. The lawsuit seeks a permanent injunction to stop the state from collecting taxes and the return of all taxes collected. A similar lawsuit has been filed in Washington state by attorney Douglas Hiatt. New York City Marijuana Arrests So Far This Year at Same Pace as Last Year. New Yorkers are still being arrested for small-time pot possession in high numbers under new Mayor Bill DeBlasio (D). According to the Marijuana Arrest Project, so far this year, NYPD is arresting an average of 80 people a day for pot possession, compared to 78 a day throughout 2013 under then-Mayor Michael Bloomberg (R). Another constant is that blacks and Latinos continue to make up the vast majority of marijuana possession busts. They accounted for 87% of pot arrests last year and 86% so far this year. Click on the title link for more details. Philadelphia City Council Committee Approves Decriminalization Measure. A city council committee yesterday approved a bill that would make possession of up to 30 grams of marijuana a code violation punishable by a $25 fine -- but would still give police officers the discretion to arrest. But Mayor Michael Nutter opposes the bill. His Public Safety Director, Mike Resnick, said the opposition stems the discretional arrest provision, which he said could create unfair situations. A final vote is likely next week. North Carolina "March Against Fear" Aims to Generate Support for Medical Marijuana. North Carolinian Todd Stimson is leading a 259-mile "March Against Fear" from Asheville to Raleigh to help bring attention to a pending medical marijuana bill, House Bill 1161. The bill was filed last month and is now languishing in the House Judiciary Committee. Click on the title link to join up or get more info. Key New York GOP Legislator Says He Will Not Allow Vote on Medical Marijuana. Senate Finance Committee Chairman John DeFrancisco (R) said today he would not allow a vote on the Compassionate Care Act, sponsored by Sen. Diane Savino (D). "The Savino bill will not come out of my committee, the Finance Committee," he said. "You don't have any kind of reasonable research on the effects. You have people coming in here every day trying to ban e-cigarettes and use of tobacco in other ways." He said he and other Senate Republicans may be open to legislation that would not allow marijuana to be smoked. The session ends next Thursday. Clark County, Nevada, Commissioners Approve 18 Dispensary Licenses. There will soon be 18 medical marijuana dispensaries operating in unincorporated parts of Clark County, the home of Las Vegas. County commissioners approved the licenses yesterday. Nevada approved medical marijuana in 2000, but only approved dispensaries last year. Repeated School Drug Tests of Pennsylvania 10-Year-Old Provoke Scorching Editorial. The editorial board at the Pennsylvania news website PennLive has penned a strong editorial condemning the drug testing policy at the Susquenita Middle School, which has resulted in a 10-year-old girl be tested three times so far. The editorial notes that state law requires that school districts actually show there is problem and show that drug testing helps, but that Susquenita has failed to do either. "Repeatedly drug testing a trouble-free 10-year-old student like Natalie Cassell shows how ridiculous this kind of random snooping is. Innocent students are treated like criminals, while drug-using students can dodge the tests simply by deciding not to join after-school activities," PennLive noted. "At a time when school districts across the state are pleading for more state funding, surely Susquenita schools can find a better uses of money than an unproven, highly invasive program that randomly tests innocent 10-year olds. Justice Department Supports Making Drug Sentence Cuts Retroactive. Attorney General Eric Holder announced Tuesday that the Justice Department is formally supporting a US Sentencing Commission proposal to allow some nonviolent drug offenders currently doing time in federal prisons to seek sentence reductions. The proposal would extend sentencing reforms already approved by the commission by making them retroactive. Smarter Sentencing Act Gains Four More Sponsors. The Smarter Sentencing Act of 2013 picked up four more cosponsors Monday, three Democrats and one Republican. They are Del. Eleanor Holmes Norton (D-DC), Rep. Kathy Castor (D-FL), Rep. Tony Cardenas (D), and Rep. Paul Ryan (R-WI). The measure now has 37 cosponsors, 24 Democrats and 13 Republicans. It has been sitting in the House Judiciary Committee's Subcommittee on Crime, Terrorism, Homeland Security and Investigations since January. Massachusetts Governor Unveils Plan to Fight Opiate Use. Gov. Deval Patrick (D) today released a $20 package of proposals to deal with "the opioid addiction epidemic" in his state. He is calling for a summit of regional governors, as well as streamlined access to treatment, better prevention measures, and "strengthening safe prescribing and dispensing practices" to "minimize diversion and misuse." That last bit is likely to raise concerns among people worried about adequate access to prescription opiates. But unlike some other state-level responses to rising levels of opiate use, Patrick's did not contain a law enforcement component. The link leads to the full press release. 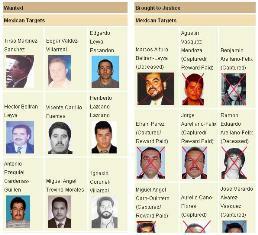 Key Sinaloa Cartel Figure Reported Dead. Reports are emerging from Mexico that Juan Jose "El Azul" Esparragoza, a key figure in the Sinaloa cartel, has died of natural causes. After the capture of cartel head Joaquin "El Chapo" Guzman by Mexican authorities earlier this year, Esparragoza and Ismael "El Mayo" Zambada were viewed as the effective leaders of the cartel. Spanish Authorities Close Down Barcelona Cannabis Club for Selling… Cannabis. A Barcelona cannabis club has been closed after police spotted a man approaching tourists and taking them to the club to score. Under Spanish law, one can grow marijuana for personal use, but not sell it. The cannabis clubs have sprung up as a way for consumers to pool their growing resources. Members pay an annual membership fee for a chance to share in the proceeds of the collectively cultivated cannabis, but they're not supposed to sell it. DC Decriminalization Bill Gets Committee Vote Tomorrow. A bill that would decriminalize the possession of small amounts of marijuana goes for a vote before the city council's Judiciary and Public Safety Committee Wednesday. It is expected to pass. The measure is also expected to get through a vote of the full council later. Pennsylvania NAACP Backs Away from Legalization. The president of the Pennsylvania NAACP said Monday that even though one state branch supported marijuana legalization last year, that support was "illegal" and didn't reflect the state group's position. The Cheltenham branch had supported a legalization bill introduced by Sen. Daylin Leach (D-Montgomery County), but state NAACP head Jerome Mondesire said that was a no-no. "That can't be done locally," he said. "They've been asked to back away from it and they have." Colorado Marijuana Possession Cases Dropped Big-Time After Legalization, But Didn't Disappear. Figures from the Colorado judiciary show that marijuana-related cases dropped 77% between 2012 and 2013, and the number of simple possession cases has dropped from 714 a month in the first part of 2012 to just 133 a month a year later. 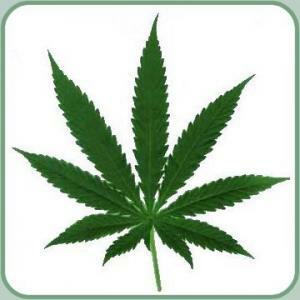 Possessing less than an ounce of marijuana only remains illegal for people under 21. Wyoming Marijuana Legalization Initiative Filed. Activists with Wyoming NORML last week filed a proposed initiative with state officials that would allow medical marijuana patients to grow 12 plants and let all Wyoming adults 21 and over possess marijuana for personal use. Organizers are aiming at the 2016 ballot. The proposed initiative would decriminalize recreational use and public displays of 3 ounces or less of marijuana. Project SAM to Help Fight Legalization in Alaska. Project SAM, the anti-marijuana legalization group headed by former Congressman Patrick Kennedy (D-RI) and former drug czar's office employee and media go-to guy Dr. Kevin Sabet, will assist local efforts to defeat a proposed marijuana legalization initiative. The initiative has handed in signatures and awaits signature verification. Sabet said Monday he had been asked by a "handful of leaders" to help fend off legalization. Sabet also repeated his favorite frightening refrain -- that legalization would not lead to regulated marijuana sales, but to "Big Marijuana," supposedly something akin to Big Pharma or Big Tobacco. San Jose Dispensary Initiative Filed. California's third largest city (sorry, San Francisco) could see a popular vote to block a ban on dispensaries after activists filed an initiative Monday with city officials. City officials have been moving to close them down, but initiative backers hope to get enough signatures to qualify the measure for the November ballot. The city has been sending "cease and desist" letters to dispensaries and is set to vote on an ordinance that would effectively ban them in 99% of the city. The initiative would set a minimum of 50 dispensaries for the city. Organizers need 20,372 valid voter signatures by May 16 to qualify. Alabama Medical Marijuana CBD Bill Filed. The Alabama legislative session begins today, and a medical marijuana bill awaits. The bill, House Bill 104, was pre-filed last week and is sponsored by Reps. Mike Ball (R-Madison), Patricia Todd (D-Birmingham), and Allen Farley (R-McCalla). It would provide a medical necessity defense for people seeking to be treated with cannabidiol (CBD). Minnesota Governor Not Ready for Medical Marijuana, But Open to Study. Minnesota Gov. Mark Dayton (DFL) said Monday he is not ready to allow medical marijuana in the state, but would be open to a study on the issue. "I've said since I ran for office that law enforcement has enough to contend with, and I am not going to support something that has the adamant opposition of law enforcement in Minnesota, and that is still the case," he said. "I'd be supportive of funding for an independent, objective study of what other states have done, what have the results been," he said. Key Supporter Says New York Medical Marijuana Bill Not Ready for Senate Vote. State Sen. Diane Savino (D) said Monday that a pending medical marijuana bill "isn't ready" for a Senate vote. Medical marijuana bills have repeatedly passed the Assembly, only to be blocked in the Senate, which is controlled by Republicans and a handful of independent Democrats, including Savino. "We're not playing politics with this issue," Savino said. "There are patients whose lives are being affected by this issue. We're going to build support for this the way we build support for everything else. There is sufficient support in both conferences." But, she added, "...You can't force a bill to the floor until the bill is ready. The bill will be ready when I let you know it's ready." 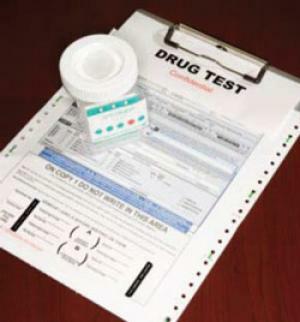 Study Finds Student Drug Testing Ineffective; Positive School Environments Better. A study published in the January issue of the Journal of Studies on Alcohol and Drugs has found that school drug tests don't deter kids from smoking marijuana, but that creating a positive school environment may be more effective. Researchers tracked students from schools with and without drug testing policies and found no significant differences in the likelihood that students would try marijuana. "Even though drug testing sounds good, based on the science, it's not working," said study author Daniel Romer, of the University of Pennsylvania Annenberg Public Policy Center. Kazakhstan MP Wants Marijuana Farms Leased to Pharmaceutical Companies. A Khazakh member of parliament -- who also just happens to be the president's daughter -- has suggested leasing broad swathes of land currently using for illicit marijuana farming to major pharmaceutical companies. MP Dariga Nazarbayeva suggested to parliament that "We review our attitude to cannabis." The interior minister, Kalmukhanbet Kasymov, appeared receptive, saying, "You can't just seal off 140,000 hectares of land. Cannabis is spreading across our country." Decades of eradication efforts in Kazakhstan have proven ineffective. An 11-year-old girl, the ACLU of Pennsylvania, and the Philadelphia law firm Dechert LLP have filed suit against a Lancaster County school district over its policy requiring random drug tests of students engaging in extracurricular activities. The ACLU said the lawsuit was filed last Wednesday. The suit was filed on behalf of the student, identified only by the initials "MM" and her parents, Mika and Christopher McDougall of Peach Bottom. The lawsuit says MM was barred from participating in orchestra and chorus at the beginning of the school year and cannot join any athletic or academic teams because she and her parents refused to consent to submitting her to drug tests. "We refused to sign the forms, so on her first day of orchestra, she was on her way to rehearsal, she was told by the principal she was not allowed to be in the orchestra," Christopher McDougall said. MM is described as an academically high-performing student who was also asked to join the school's math club, but is barred from that as well. The lawsuit charges that the Solanco School District's student drug testing policy violates a 2003 Pennsylvania Supreme Court decision holding that random drug testing of students is unconstitutional unless the school districts can show that the group of students being tested had a high drug use rate. That case was Theodore v. Delaware Valley School District. The ACLU and Dechert LLC brought similar lawsuits against two other school districts last year. In both of those cases, state court have issued preliminary injunctions barring the school districts from conducting random drug tests of students. "In the past year, judges have issued injunctions to stop similar policies in two other school districts. Unfortunately, the Solanco School District has not learned from other districts' mistakes," said Reggie Shuford, executive director of the ACLU of Pennsylvania. "Not only are these policies a violation of students' right to privacy, numerous studies have shown they do not reduce student drug use," he continued. "We're surprised and disappointed that Solanco School District is not only ignoring the law, but also the example of other school districts which have rejected the same policy because they understand that spying on students without suspicion is against the Constitution," said the McDougalls. "These are young people who have done nothing wrong, not prisoners on parole. We've tried repeatedly to persuade the district to abide by the state Supreme Court's ruling, but it has refused. That's unfortunate, because the district's responsibility is to teach students to respect and understand the law, not sidestep it." The school district has yet to comment. The annual Monitoring the Future survey of substance use by eighth, 10th, and 12th graders was released Wednesday, and it shows students are drinking and smoking tobacco at historically low levels, but marijuana use is on the rise. Teen use of other drugs also generally declined, except for a slight increase in use of prescription drugs reported by seniors. About one-third of seniors reported smoking pot during the past year, up slightly from the previous year. That's well above the 20% who did so in 1991, the nadir for teen marijuana use, but well below the more than 50% who did so in 1979, the apex of teen marijuana use. The number of seniors reporting annual pot use has been creeping up slightly since about 2007. Federal drug war bureaucrats bemoaned the uptick in teen pot smoking at a Washington, DC, press conference rolling out the research results, but marijuana law reform activists had a different take on the numbers and what they mean. Daily tobacco smoking by teens was down by 50% compared to the mid-1990s, while adolescent binge drinking had declined by 25% since 1997. About 10% of high school seniors reported daily cigarette smoking and about 20% reported smoking within the last month, down 40% from 1997. At all three grade levels, more students smoked pot in the last month than smoked cigarettes. "The decrease is very dramatic," said Dr. Nora Volkow, director of the National Institute on Drug Abuse. "But despite the dramatic results, the prevalence of teen smoking and drinking is still high, so we can't become complacent. The troublesome news is that marijuana use has been trending upwards in the last few years. We've seen a significant decline in the perception that marijuana is risky. Fewer kids see smoking marijuana as having bad health effects." While careful to point out that responsible marijuana reform activists do not encourage teen substance use, Mason Tvert, head of the activist group SAFER (Safe Alternatives for Enjoyable Recreation) and coauthor of Marijuana is Safer: So Why Are We Driving People to Drink? 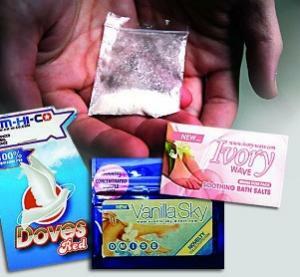 dared to suggest that young people who do use drugs are making smarter choices about which drugs they choose to use. "We're always concerned about young people using drugs, but it's clear that more young people are understanding that marijuana is a less harmful substance and making that choice," said Tvert. "While we certainly don't want to promote marijuana use among minors, this report suggests they are making the safer choice to use marijuana rather than alcohol." Tvert attributed both the rise in teen use and the decline in their perceptions of marijuana's risks to their increasing exposure to knowledge about marijuana. "Ultimately, people are hearing more and more about the facts surrounding marijuana, and as they continue to hear that marijuana is far less harmful than alcohol, that it doesn't contribute to violence, that there is no danger of a deadly overdose, they are increasingly more comfortable making that choice." Drug czar Gil Kerlikowske used the Wednesday press conference to blame medical marijuana for the rise in teen pot smoking. "These last couple years, the amount of attention that's been given to medical marijuana has been huge," he said. "And when I've done focus groups with high school students in states where medical marijuana is legal, they say, 'Well, if it's called medicine and it's given to patients by caregivers, then that's really the wrong message for us as high school students.'" While Volkow and Kerlikowske lauded the use of prevention campaigns in reducing teen smoking and drinking, they did not say why such a strategy was not appropriate for marijuana, nor did they break with the prevailing prohibitionist approach to marijuana. That led to criticism from the Marijuana Policy Project (MPP) and the Drug Policy Alliance (DPA). "This report, once again, clearly demonstrates that our nation's policymakers have their heads buried in the sand when it comes to addressing teen marijuana use," said Rob Kampia, MPP executive director. "Political leaders have for decades refused to regulate marijuana in order to keep it out of the hands of drug dealers who aren't required to check customer ID and have no qualms about selling marijuana to young people." "The continued decline in teen tobacco and alcohol use is proof that sensible regulations, coupled with honest, and science-based public education can be effective in keeping substances away from young people," Kampia continued. "It's time we acknowledge that our current marijuana laws have utterly failed to accomplish one of their primary objectives -- to keep marijuana away from young people -- and do the right thing by regulating marijuana, bringing its sale under the rule of law, and working to reduce the easy access to marijuana that our irrational system gives teenagers." "The decline in cigarette smoking is great news -- not just because it's the most deadly drug but also because it reveals that legal regulation and honest education are more effective than prohibition and criminalization," said DPA publications manager Jag Davies. "It's absurd, though, that the survey doesn't also include the fiscal, health and human costs of arresting more than 1.6 million Americans each year on drug charges, including more than 750,000 for marijuana possession alone." "Rather than measuring success based on slight fluctuations in drug use, the primary measure of the effectiveness of our nation's drug policies should be the reduction of drug-related harm," Davies continued. "A rational drug policy would prioritize reducing the problems associated with drug misuse itself -- such as overdose, addiction and disease transmission -- and the problems associated with drug prohibition, such as mass incarceration, erosion of civil liberties, and egregious racial disparities in enforcement, prosecution and sentencing. Looking at use rates in a vacuum is missing the forest for the trees." "Arresting people for marijuana simply does not stop young people from using it, and it never will," said Kampia. "It is time for a more sensible approach." 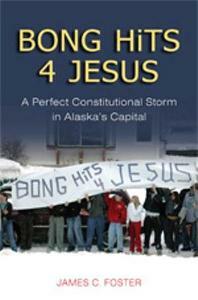 In January 2002, as Olympic torchbearers making their way to the Winter Olympics in Salt Lake City jogged through the streets of Juneau, Alaska, past the local high school, a troublemaking prankster of a high school student and some of his friends held up a 14-foot banner reading "BONG HiTS 4 JESUS." The school principal, Deborah Morse, rushed over to the students, tore down the banner, and subsequently suspended the prankster, Joseph Frederick. Little did anyone imagine at the time that the far-off brouhaha would roil the community for years and that the controversy would end up at the US Supreme Court. Oregon State University professor and student of judicial politics James Foster tells the tale of a case that has helped shape First Amendment jurisprudence in the exceptionally sticky milieu of student free speech rights and schools' rights to accomplish their educational missions. And while there is a plenty of fine-toothed examination of the high court's legal reasoning in Morse v. Frederick, as the case came to be known, as well as related cases, there is a lot more to BONG HiTS 4 JESUS than dry textual analysis. When, on the first page of the first chapter of the book, the author references Japanese film director Akira Kurosawa's classic 1950 film Rashomon, the reader begins to get an inkling that this is going to be something of a ride. And so it is. Foster sets up a story of conflicting narratives in a conflicted town in a conflicted time. Juneau, Alaska's capital city, is an isolated town in an isolated state, a liberal island of blue in a sea of red, a small town where the protagonists in local conflicts are likely to run into each other at the grocery store. That social and political context, and the hostilities it engendered, helped turn what began as a local imbroglio into a problem that could only be decided by the Supreme Court. If Joseph Frederick had been less of an authority-challenged troublemaker, or if Principal Morse had had a better administrative style, the whole affair could have been handled as little more than a tempest in a teapot. Foster excels at explaining why that wasn't to be and how a disciplinary interaction between an educator and a student ends up as constitutional question before the highest court in the land. Aside from the interpersonal and community context of the conflict and the case, Foster also excels at explaining the legal context, discussing at some length a line of cases about student rights running back to the seminal 1969 case, Tinker v. Des Moines School Board, in which the court famously held, in Justice Abe Fortas' words, that "Students… do not leave their constitutional rights to freedom of speech or expression at the school house gate." That case involved students wearing black arm bands to protest the Vietnam War. But, as Foster makes abundantly clear, Fortas' stirring -- and oft-cited -- proclamation was actually stronger than the court's own ruling in Tinker, where it held that political ("symbolic") speech could not be constrained as long as it did not interfere with the educational mission of the school. And as his examination of the handful of key post-Tinker cases relating to student rights demonstrates, the bright and shining rule of Fortas' formulation has been quickly and relentlessly chipped away at by less friendly Supreme Courts. Some of those cases were not First Amendment cases, but Fourth Amendment ones. The elements they had in common with Morse were the scope of students' rights and adults' fears about drugs. In those two cases, conservative courts approved the use of warrantless, suspicionless random drug testing, first of athletes and then of any students involved in extracurricular activities. As in other realms of law, the Supreme Court in those cases created a drug war-based exception to the Fourth Amendment when it comes to students, or, as Foster puts it, a "Fourth Amendment-Lite." Through close examination of oral arguments and the different written opinions in Morse, Foster shows that the same concerns about student drug use weighed heavily on the minds of the justices, so much so that they were moved to decide against Frederick's free speech rights. The Roberts court was more afraid of a nonsense message that could -- with some contortions -- be construed as "pro-drug," than it was of eroding the freedoms enshrined in the First Amendment. BONG HiTS 4 JESUS is not a book about drug policy, but it is one more demonstration of the way our totalizing, all-encompassing war on drugs has deleterious effects far beyond those of which one commonly thinks. Really? We're going to trash the First Amendment because some kid wrote "bong hits" on a sign? Apparently, we are. We did. There are some dense thickets of legal exegesis in BONG HiTS 4 JESUS, and the book is likely to be of interest mainly to legal scholars, but Foster brings much more to bear here than mere eye-watering analysis. For those concerned with the way the war on drugs warps our lives and our laws, this book has much to offer.